‘The Sky Is The Limit’ – Adaro talks Decibel, touring & Headhunterz’ comeback ‹ ALIVE AT NIGHT – Hard Dance Interviews, news & reviews with a twist! – Hey Adaro, thanks for joining us today! First up, how’s the summer been for you? Hey, thanks for having me! It’s been a very good summer so far; many great festivals in several countries and lots of new music – these are some busy times for me! – Can you run through some of your biggest highlights this festival season? 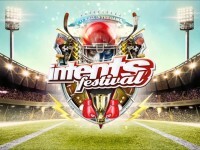 My highlights would be performing as Adaro at Intents Festival, Defqon.1 and a successful Australian Tour. 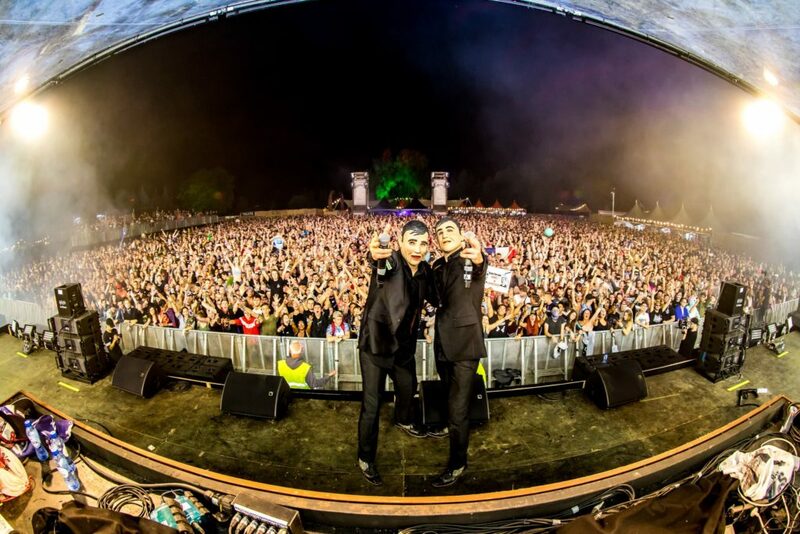 With Gunz For Hire, we had some massive gigs like Intents, Wish Outdoor, Defqon.1, Lake Festival in Austria and the unforgettable Aztec Kingdom in Mexico – that was one of the best gigs we’ve ever had. We didn’t know what to expect from a festival which had a line-up including Lil Jon and well-known EDM DJ’s, but the crowd was full on Hardstyle! – You also recently celebrated your birthday, congrats! What did you do to celebrate? Thanks! I didn’t have any time to celebrate it because I had a weekend full of gigs, and the days after that I did a summer tour with GoGo travels in Spain, Portugal and Bulgaria. So I celebrated it with Randy at Tomorrowland with our Gunz For Hire masks on, haha! – This weekend, one of the biggest events of the season, Decibel Outdoor will be held. Can you share your excitement about this years’ edition? I’m very excited for this one! Decibel is one of those parties that you look forward to all year and this year I have the honour to perform on the mainstage on Saturday! This is one of those opportunities that only come a few times in your career. Two years ago I played at the mainstage too, however during my gig it was a bit too rainy, so let’s hope that the weather gods are in favour of Decibel this year! I will also play at the pre-party on Friday; I’ve been there a couple of times and this pre-party is really massive and full of energy! I can’t wait for the weekend! – What’s the personal connection you have with Decibel? I have a really big connection with Decibel! This year I have mixed the official CD together with Audiotricz and Angerfist – you should all check it out! I’ve selected all my favourites of the moment and I’m really satisfied with the mix! Aside from this year, my connection with Decibel goes way back; I visited the first edition when it was still at night and I’ve attended to a lot of editions as visitor, and of course later on as a DJ. – Favourite Decibel moment – GO! 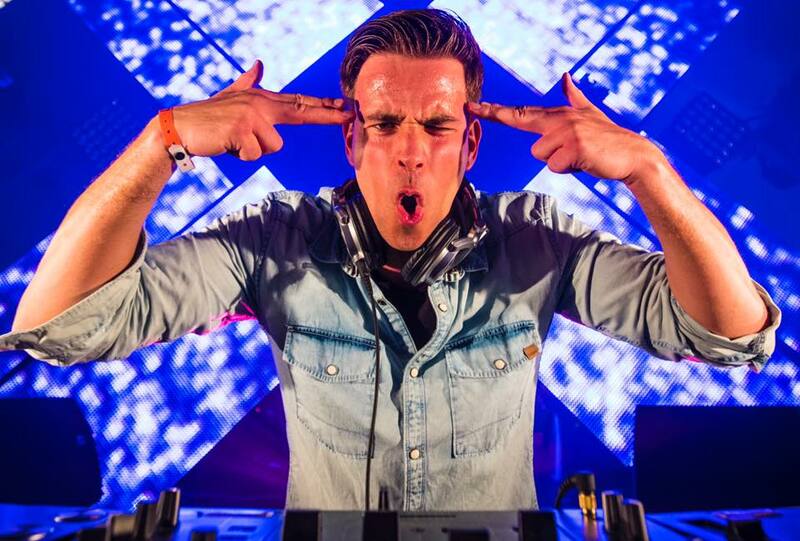 My comeback in 2014 was at Decibel – I’m sure a lot of people will remember this one! The Loudness area was too packed at that time and had to be closed. When I think back to it, I almost get tears in my eyes. Wow, what an atmosphere! All these people who came to celebrate together with me… I will remember this moment forever! – As the summer is filled with back-to-back parties, what are three essential items that get you through the summer season? A). Healthy food. With travelling your almost destined to eat at gas stations and airport fast foods, but I try to search for healthy food whenever I can. B) Working out. My boxing club is closed in summer, so I have to do some other activities, such as walking or running. C) Sometimes in the weekend I have a Red Bull to stay fully awake, haha. – So music-wise, there’s been a lot of releases coming straight from your studio. One I’d like to chat about is ‘The Sky Is The Limit,’ which is a huge tune! What was the inspiration behind it? Yes, I’m having a really good flow at the moment, thanks! The inspiration was to try to make a melodic track with a melancholic feel; not with the dancefloor in mind, but more a track that you can listen to with some deeper emotion. I just hoped that the dancing will follow after that. I created various melodies but nothing gave that 100% spot-on feeling. One morning I was just jamming on my piano and then this melody came out. 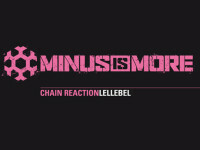 When I transformed it with Hardstyle leads I thought, this is the one! I wanted the break to sound “synthetic organic,” so I used some classic Synthesizer violins and piano sounds for the atmosphere. The vocal line gives that epic feel that strengthens the melody. All in all, I’m really happy with the result; it’s already gained support from the biggest names in the scene, so that’s awesome! 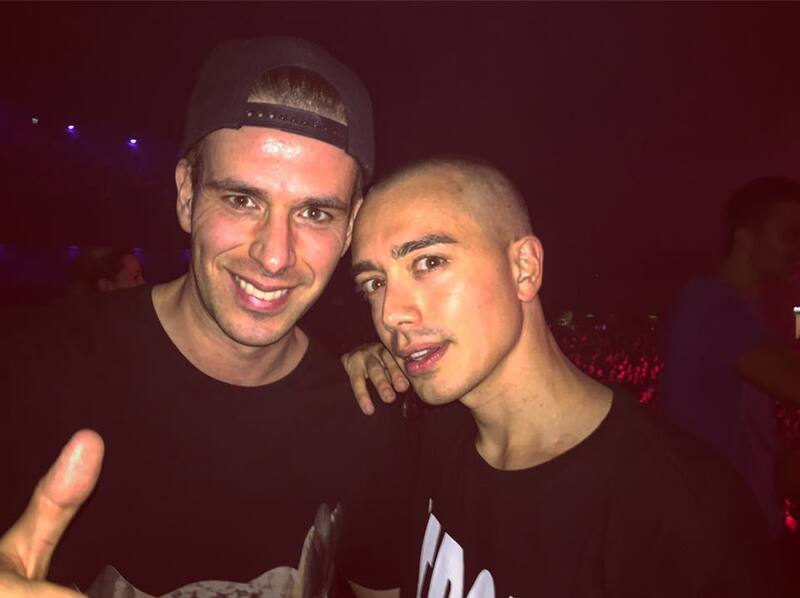 – The track was also supported on Headhunterz’ ‘HWS’ podcast. What are your thoughts about his ‘return’ to Hardstyle? I’m really enthusiastic about his return and I think it’s a massive boost for the scene. I totally understand his thoughts and reasons. 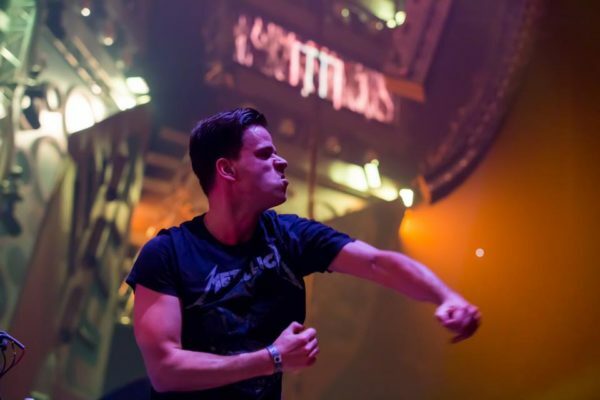 I think he is the main guy that can bring Hardstyle to bigger crowds worldwide. My vision about the scene in the last years is that the healthy balance between raw and euphoric was a bit far-fetched. Although I’m more on the ‘raw’ side of the scene, I look further than my own career; I think it’s better for the scene if there’s a variety of sounds and not just one dominant one. 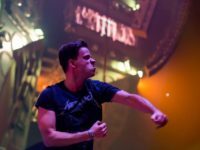 Things are clearly changing now sound-wise and everything looks really positive for the Hardstyle scene at the moment – the return of Headhunterz definitely helped in this! – Before we wrap this interview up, can you share any more info about some in-progress productions? I have just finished a remix for Activator’s track “Greta is Great” and I’m now trying to finish something new to play at Decibel – the working title is “Your Life”. The coming months I’m going to work on some solo tracks and very exciting collabs. With Gunz For Hire, we have a lot of new tracks but we still have to make extended versions of them. One special track we are very excited about is “We Will Be Immortal.” We’ve already played it a few times during our recent gigs and you can really feel that special energy running through the crowd! You can also expect a brand-new G4H track before end of the year! – Finally, what did you eat for breakfast this morning? Big thanks to Adaro for this interview! We’re super excited to catch his mainstage set at Decibel this weekend. For those looking for the perfect soundtrack for on the road to Decibel, be sure to grab yourself a copy of this years’ compilation CD!